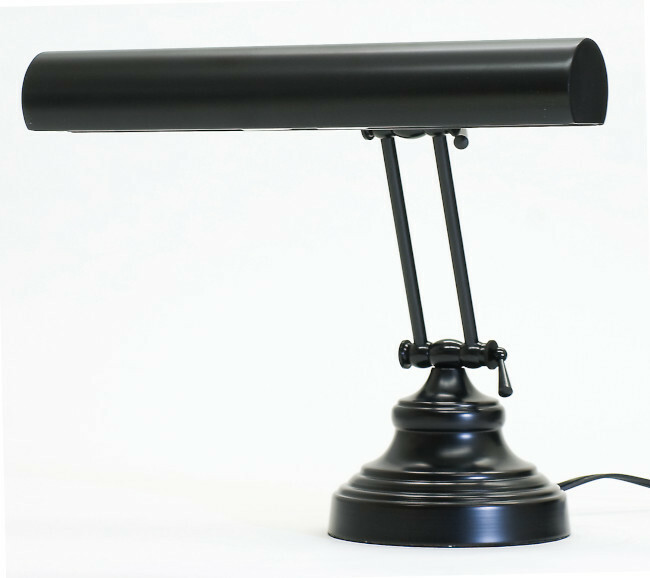 Double Adjusting Black Piano Lamp with 14 Inch Shade is rated 0.00 out of 5 based on 0 ratings. Made By House of Troy (Model AP14-41-7) this Double Adjusting Lamp puts the light right where you need it - at the right price!! Gooseneck bends anywhere from 3.5" to 12" high.